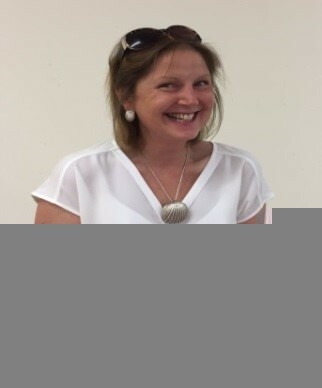 Hello my name is Kath, and I work to improve experiences of care in maternity, infants, children and young people’s care at NHS England. Maternity Services are I believe ‘pace setters’ in true collaboration with the public to enhance the quality of care. Maternity Services Liaison Committees (MSLCs) date from around 1984 and the Health and Social Care Act of 2012 mandated a requirement of collaboration with the public for all areas across the NHS. In maternity care, colleagues such as Mary Newburn, Gillian Fletcher, Catherine Williams, Lisa Ramsay and Laura James along with many others have ensured that information on developing Maternity Voices Partnerships (MVPs) which build on the successes of MSLCs, is included in the maternity commissioning resource document published by NHS England https://www.england.nhs.uk/mat-transformation/implementing-better-births/ Chapter 4 and 5 of the resource clearly outlines the importance of Maternity Voices Partnerships (MVPs), it shares how collaborating with the local community can enhance the quality of services by achieving safer and better experiences through the delivery of effective interventions which are led by women, their partners and health care professionals. Everyone has a part to play. Getting started in co-production can however be a bit daunting, especially if a Local Maternity System (LMS) doesn’t currently have a well-functioning MSLC to draw on so its important to share best practice and prevent reinvention of wheels. The range of resources here on the National Maternity Voices site has been developed by people with lots of experience for Local Maternity Systems to use and develop, they are a useful guide – importantly if you have something better please do share it so that we can continue to grow and develop these resources. 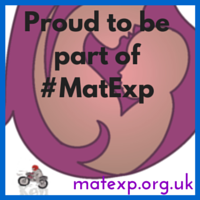 There are also a range of publications and resources that may help to drive improvement programmes in maternity experience that may be helpful too – which you can find on the links page here. So some top tips from what we’re learnt so far, but you’ll have many more to add! Where there are vulnerable communities connect with local house associations who will be able to help connect to specific groups. Be prepared to ‘go to’ women, families mother/father & baby sessions rather than expecting them to go to you. Spend time in antenatal & postnatal clinics having conversations with families. Ensure challenges/programmes of improvement work are co-produced as this ensures the programme is ‘owned’ by all from the outset (rather than imposed) and energy is harnessed for improvement. Working together is really energising, and whilst of course it takes organising and time, it does deliver great results! RGN, RSCN, MSc (Nursing), PG Dip (Education), BSc (Hons), PG Dip (Management), Institute of Leadership and Management (ILM) Accredited Coach. Kath is a registered general and children’s nurse and her career has included clinical, educational, managerial and service improvement roles. She is Experience of Care Lead for Maternity, Infants, Children and Young People at NHS England where she is committed to ensuring the voice of children, young people, families/carers and maternity service users are heard in their care and in the design, delivery and commissioning of services. 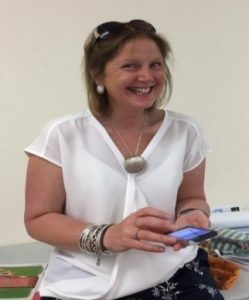 Kath is a keen user of social media (@KathEvans2) to connect with communities to inform programmes of work and is a Health Care Ambassador for Save the Children.